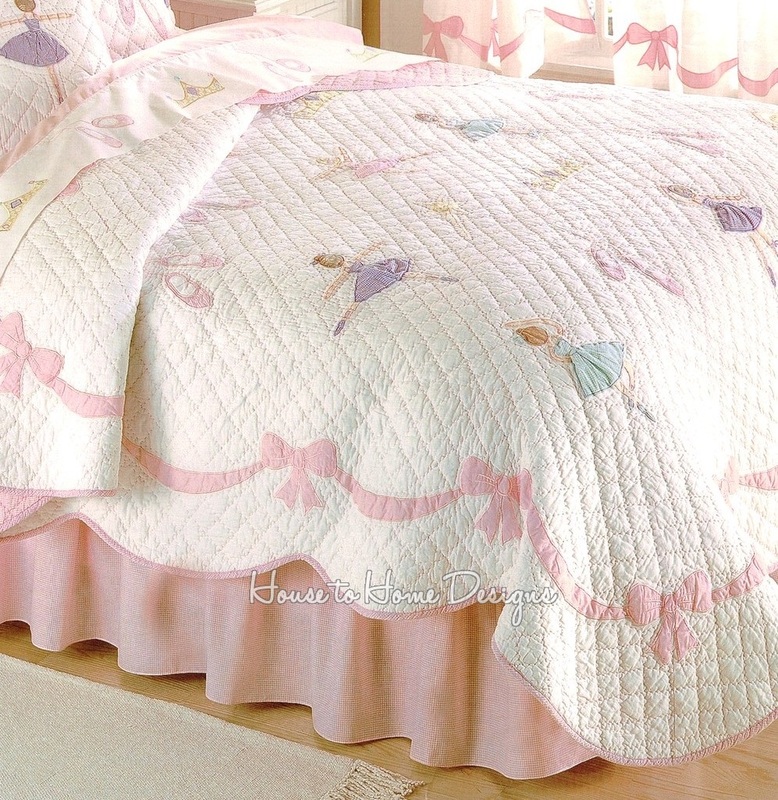 Decorate your little princess's room with the comfortable style of our Ballerina bedding. 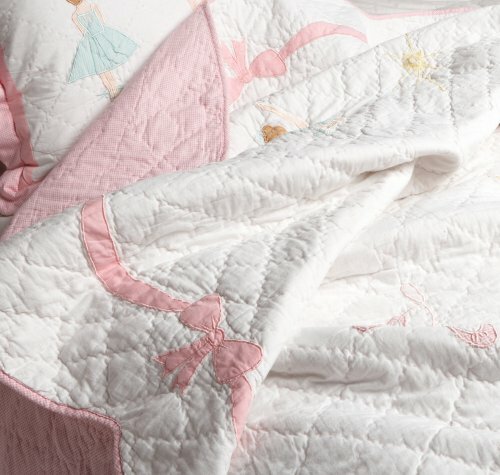 This exquisite set features a darling, handcrafted white quilt with gingham accents and soft pink and turquoise tones. Whimsical ballerinas and charming ballet slippers are featured throughout the design. The quilt features scalloped edging, and the shams are standard-sized. Set includes quilt and two standard shams (one sham with the Twin set).